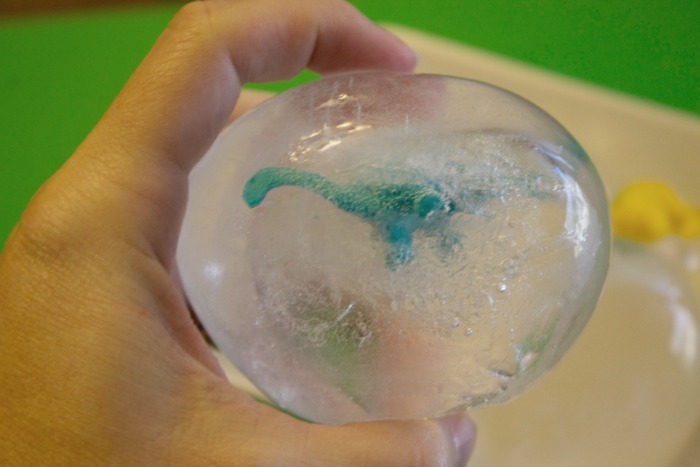 Dinosaur Ice Eggs are the perfect dinosaur activity for kids. 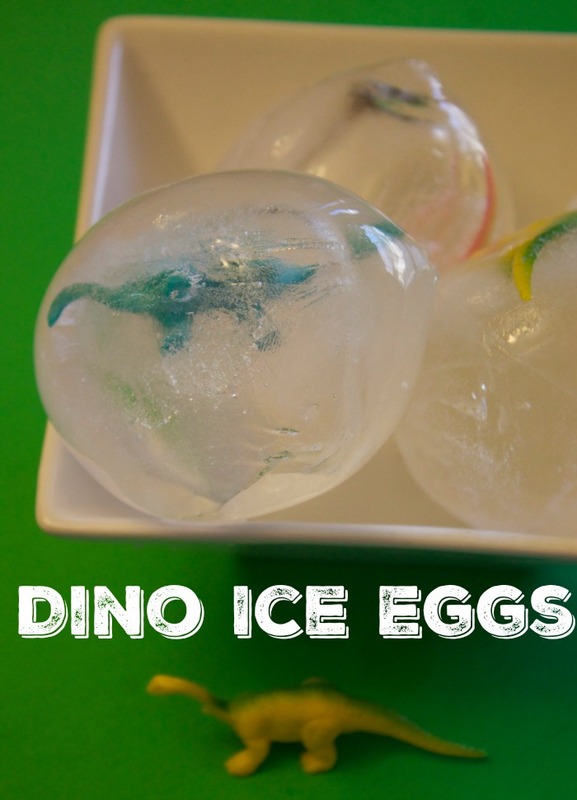 No only are these dino ice eggs super easy to make (and cheap) but they will provide hours of fun for your little ones. 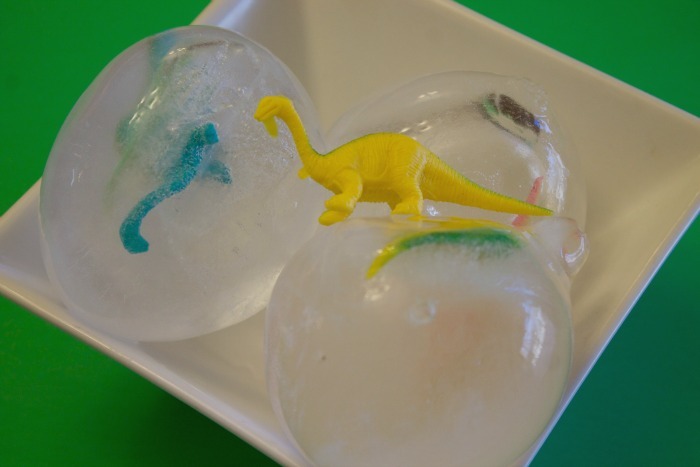 This is a dinosaur activity that can be done in many different variations but for this particular one we are going to be making Dinosaur Ice Eggs. I can’t tell you how great this dino activity is. Crafts can sometimes be time consuming and expensive but no this one. 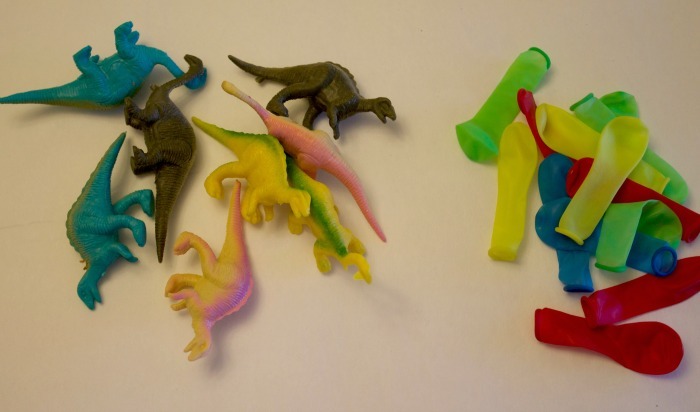 The great thing about this dinosaur activity is that it’s super inexpensive, not that messy and they are easy to make. It cost me around $2 for everything and provided hours of dinosaur fun for my kids. Ready to Make Dinosaur Ice Eggs? Here’s what you need for the eggs. 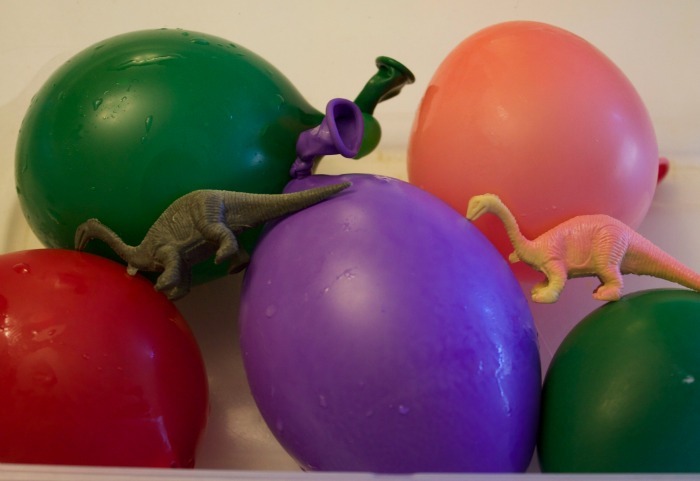 To make your Dino Ice eggs, the first you thing you’ll want to do is place the dinosaur inside the water balloon. 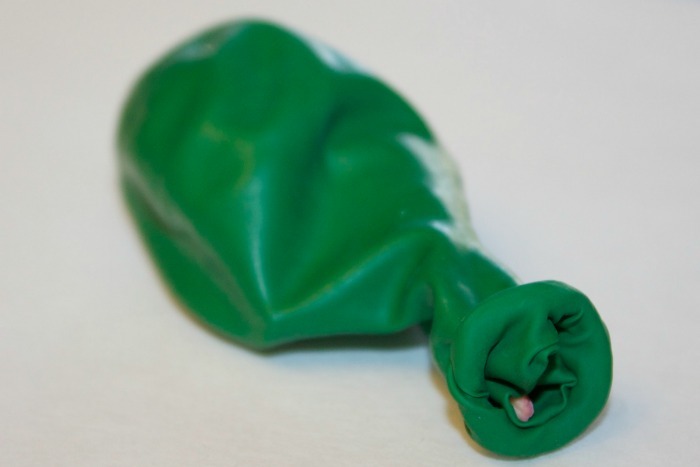 Make sure you are extra careful and don’t bust a hole in the balloon. Next fill the balloon up with water and tie the end. 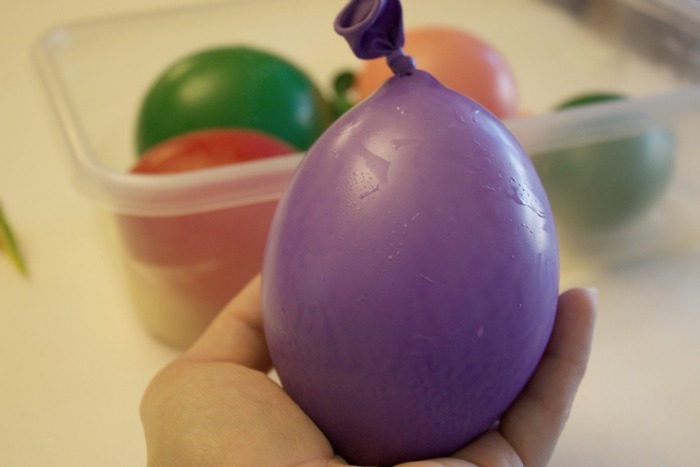 Place the balloons in the freezer for several hours or until completely frozen. When you’re ready to play with them, place them in a plastic container and give your little one tools to “break” open the egg. Inside they will find a special surprise waiting for them. This is the perfect activity for rainy or even snowy days when your kids are stuck inside. And in the summer you could even give your child a small water bottle to see how fast the Dinosaur Ice Eggs will take to melt. Either way this is an expensive and fun dinosaur activity for kids. This dinosaur activity for kids is the perfect family activity. You can add food coloring to the ice for even more dinosaur fun. For more fun family friendly activities check out some of these other Mom Luck posts.